Canada is obligated under international human rights laws to prevent violence against indigenous women by taking measures to address poverty and other socio-economic factors, according to a new report. The report, released Monday by the Inter-American Commission on Human Rights, an arm of the Organization of American States, said Canada's history of colonization, inequality and economic and social marginalization are some of the root causes of violence against indigenous women. The commission started an investigation into British Columbia's missing and murdered aboriginal women in 2013, on a request from the Native Women's Association of Canada (NWAC) and the Canadian Feminist Alliance for International Action (FAFIA). 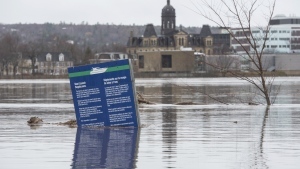 The report, which includes interviews with Canadian government officials, opposition politicians and aboriginal women’s groups, supports the call on the federal government to launch an inquiry into the issue. 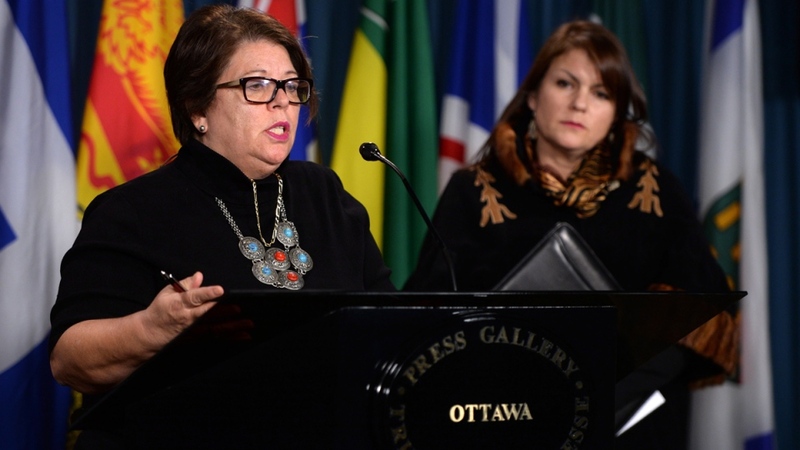 "The IACHR considers that there is much more to understand and to acknowledge in relation to the missing and murdered indigenous women," the report said. "This initiative must be organized in consultation with indigenous peoples, particularly indigenous women, at all stages." During a news conference Monday morning, NWAC Vice-President Dawn Harvard called the report "groundbreaking." "This report is the first in-depth examination of the murders and disappearances (of aboriginal women) by an expert international human rights body," she said. "These women and girls are being stolen from our families and our communities and it is time that somebody is taking this seriously." The RCMP estimated in a report released last year that about 1,200 aboriginal women and girls were murdered or went missing in Canada between 1980 and 2012. The report found that the disappearances and murders of indigenous women are part of a "broader pattern" of violence and discrimination against aboriginal women in Canada, who are significantly over-represented as victims of homicide. The report also found that they are three times more likely to be victims of violence than non-indigenous women. Addressing violence against indigenous women is insufficient unless underlying factors of poverty, and racial and gender discrimination are also addressed. In accordance with international human rights standards, Canada is obliged to continue the investigation of unsolved cases of missing indigenous women. The federal and provincial governments have a responsibility for the legal status and conditions of aboriginal women, and should provide a co-ordinated national response. Despite calls for a national inquiry, Prime Minister Stephen Harper has repeatedly said that the justice system and police investigations are the best way to deal with the issue. But Teresa Edwards of the Native Women’s Association of Canada said an inquiry is necessary to get reliable statistics and to understand the breadth of the problem. Edwards -- who said her group had yet to hear any government response to the report -- also said too many people were dismissing the problem as solely an aboriginal issue, or blaming aboriginal men for the violence. And at a news conference Monday, chair of the Feminist Alliance for International Action human rights committee Shelagh Day said police action after the violence has occurred is only a part of the equation. Harvard said Monday that the NWAC hopes that the new report will put the international spotlight on the government's response. "It is our hope and our belief that this report will be known and noted around the world, and the response of the Canadian government will be cause for hope for our peoples or for further shame," she said. "And we hope it will be cause for hope and for action to begin new change."